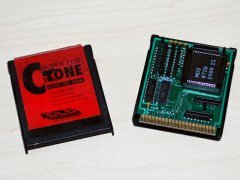 The Chip Level Design - Super 1750 Clone is a 512 kByte RAM memory expansion for the Commodore C64 and the C128. The Super 1750 Clone is compatible with the Commodore 1750. The memory consists of 4 DRAM chips with 256x4 bits.